Below is a great image for First Samuel chapter 1 verses 24 through 28 today where we read: "When the child was weaned, Hannah took him to the Tabernacle in Shiloh. They brought along a three-year-old bull for the sacrifice and half a bushel of flour and some wine. 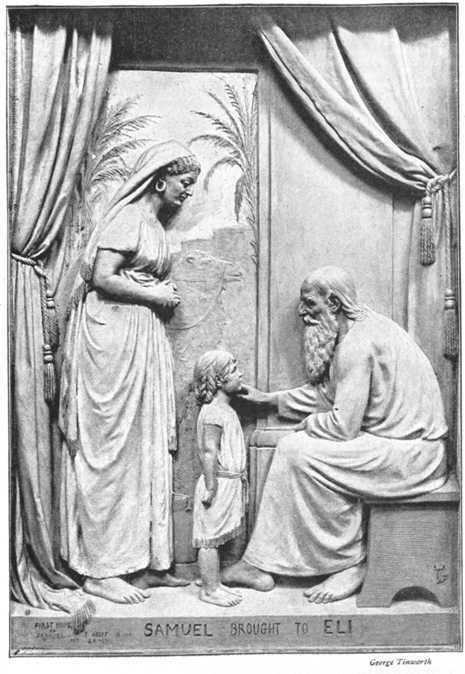 After sacrificing the bull, they took the child to Eli. "Sir, do you remember me?" Hannah asked. "I am the woman who stood here several years ago praying to the LORD. I asked the LORD to give me this child, and he has given me my request. Now I am giving him to the LORD, and he will belong to the LORD his whole life." And they worshiped the LORD there." Today in First Samuel chapter 2 we read the incredible Prayer of Hannah! In verse 2 we read: “There is no one holy like the Lord; there is no one besides you; there is no Rock like our God.” This prayer of praise from Hannah really stands out to me these days. Oftentimes I think I “forget” that there is no one holy like the Lord – and I start to seek from other sources what I should only be seeking from God. I have come to realize more than ever lately that if I am feeling a strong emotion or need, I need to really reflect on that emotion or need and ask myself if God can satisfy or quench or dispel that emotion or need. The answer is always an unfailing and beautiful YES. There is no other person, place or being that will always be there for us – that will always be our Rock – that is perfectly consistent – besides God the Father, Jesus the Son and the Holy Spirit. God is holy and his holiness can take care of any emotion or need that comes up in our lives. We need to turn it over to him and trust in Him. How about you? Do you sometimes “forget” that God is holy? Do you sometimes seek from other sources what you should only be seeking from God? Do you believe that God can satisfy or quench or dispel any emotion or need that comes up in your life? Is God your Rock? Do you believe there is no one holy like the Lord? 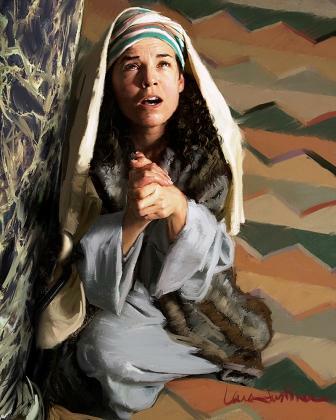 Below is a great painting of Hannah and her prayer! 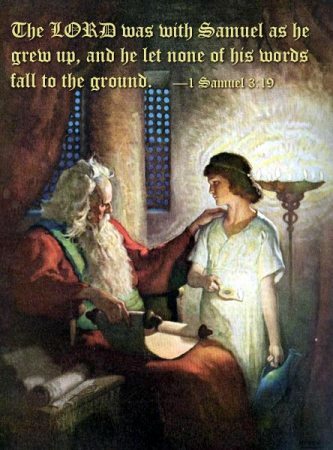 Bible.org's commentary on our readings today in First Samuel titled "The Son and the Psalm of Hannah" is at this link. First Samuel chapter 2 verse 25 stood out to me today when Eli says to his sons - "If someone sins against another person, God can mediate for the guilty party. But if someone sins against the LORD, who can intercede?" This is an interesting thing to consider. When we sin, are we sinning against other people and/or against God? I think generally speaking the answer is both. I have heard a pastor teach that "nobody sins in a vacuum." Not a literal vacuum of course :), but a "vacuum" meaning that your sin only affects you and you alone. This pastor went on to say that when we sin - even when we are alone - we end up affecting everyone else around us in our lives in some way. We may not consciously see how this happens, but our sin affects how we will treat others in the near future. So, it seems to me that when we sin we pretty much always sin against others, because we're in one sense letting down the community of people around us and we will behave differently to our community around us because of our sin. Now, in terms of sinning against God, I always think of Psalm 51 where David writes to God - "against you and you alone have I sinned and done what is evil in your sight." I think this is true as well - any sin we commit is a sin against God. It is interesting that David uses the term "you alone" about his sin. But, obviously, David's sin of adultery with Bathsheba affected the community around him in a big way. So, all this to say - I believe that when we sin we are sinning against God and the community of people in our lives at the same time. Eli asks in this verse above, "who can intercede for our sins against God?" Well, at that time, that was a very good question. However, in our time Jesus can and does intercede for our sins against God - if we'll ask him. We simply need to confess our sins to Jesus and ask for forgiveness and repent - in faith that Jesus is the Lamb of God who takes away the sins of the world. We are so very fortunate that we have someone - Jesus - who can intercede for our sins... This is why Jesus is called Savior. 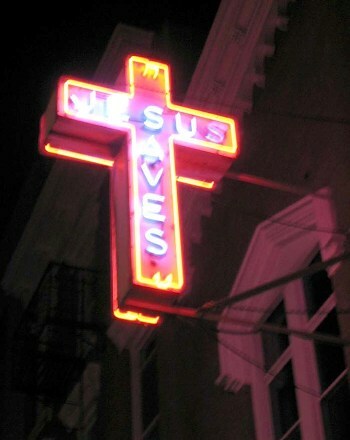 Jesus Saves us from our sins. Has Jesus saved you from your sins? An awesome image is below for 1 Samuel 3:10 - "And the LORD came and called as before, "Samuel! Samuel!" And Samuel replied, "Yes, your servant is listening." Bible.org's commentary on today's 1 Samuel readings titled "Samuel and the sons of Belial" is at this link. 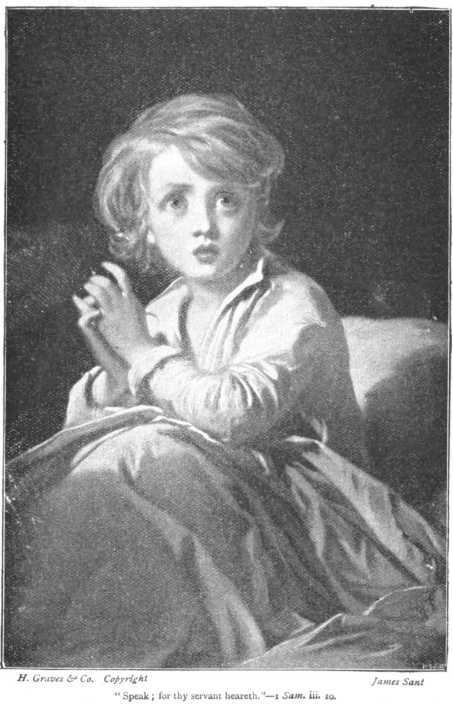 Commentary titled "The Rise of Samuel and the fall of Eli and Sons" is at this link. Worship God: Today's readings in 1 Samuel reminded me of Chasen's song "On and On:"
Do you believer in Miracles? Click here for a Miracle! Prayer Point: Pray that you will always listen when the LORD speaks to you. Pray that you will listen to His teaching in the Bible and apply them to your life today and forevermore.